One third of the dynamic and ever-restless Sethi family, Sunaina is the wine buyer for all of the restaurants in their growing JKS portfolio, which includes the Michelin-starred Gymkhana and Trishna, as well as Sri Lankan pancake specialist Hoppers. 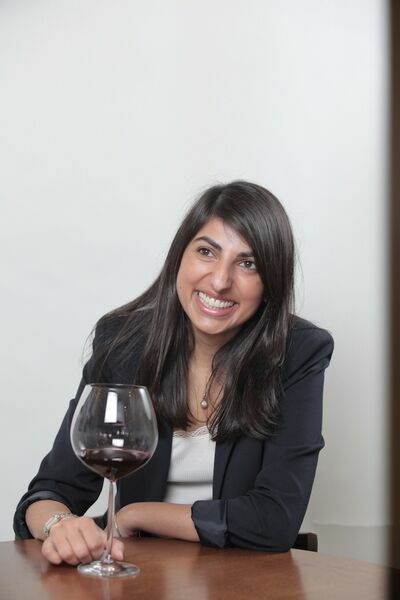 Today, Sunaina is in charge of some of London’s most innovative, daring and dynamic wine lists, and known for championing wines from lesser-known regions, such as Greece, Germany and the nascent wine industry of India. But she could just as easily have ended up a banker as a sommelier, had it not been for her brother, Karam. It was he who set the Sethi restaurant empire in motion, flying to Mumbai when he was 23 to strike a ‘brand agreement’ with the owner of Trishna – a celebrity hotspot of a seafood restaurant – which meant that the entrepreneur was able to use its name while owning the London restaurant outright. A year later, in 2008, Trishna opened in Marylebone. Sunaina, meanwhile, had recently completed a business degree at Nottingham University, and a promising career in finance beckoned, which led her to Germany. But upon seeing the potential in her brother’s venture, which by now had the backing of her other, older brother, Jyotin – a former banker – Sunaina turned her back on finance and embarked on a career in wine at the age of 23. She now looks after the wine lists for the siblings’ portfolio of restaurants, and is working towards her Level IV Master Sommelier Diploma, as awarded by the Court of Master Sommeliers. While Gymkhana and Trishna are the jewels in its crown, the Sethi family has also played a hand in the success of an impressive roll call of London-based restaurants, as a partner to the likes of Michelin-starred Lyle’s, Sandia Chang and James Knappett’s Bubbledogs and Michelin-starred Kitchen Table, the hugely successful Bao restaurants in Soho and Fitzrovia, as well as Taiwanese restaurant Xu. Last year, the group backed Sabor, from Nieves Barragán and José Etura, previously executive chef and group general manager respectively of Barrafina. Most recently, the Sethi clan opened Brigadiers – an Indian barbecue, beer and whisky joint, inspired by the army mess bars of India – in the City.